Late nineteenth- and early twentieth-century American fiction, the novel, naturalism, intellectual history, criticism & theory, feminism, race and gender studies, cultural studies, cross-cultural/trans-national studies, photography and literature, Oceanic literatures. Jeanne Campbell Reesman is Professor of English at the University of Texas at San Antonio, which she joined in 1986, where she has also served as Graduate Dean and Director of English, Classics, Philosophy and Communication. She received her Ph.D. from the University of Pennsylvania and has also taught there, at Baylor University, and at the University of Hawai’i. Her research and teaching focus is upon the realist and naturalist writers of the late 19th and early 20th centuries. 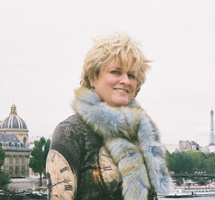 She has published over 30 monographs, collections, textbooks, and editions from distinguished presses including Oxford, Macmillan, Stanford, University of Pennsylvania, Norton, and ÉditionsPhébus (Paris) on writers from Henry James to Jack London, Edith Wharton to William Faulkner. She is a member of the Executive Board of the American Literature Association. Reesman has been awarded by the U.S. Fulbright Commission, the National Endowment for the Humanities, the Huntington Library, the American Philosophical Society, and the National Science Foundation. She has taught and lectured as a Fulbright Senior Specialist at the Universite de Provence in Aix-en-Provence (Spring 2011), and was a Fulbright Professor at Aristotle University of Thessaloniki, Greece (Fall 2006). 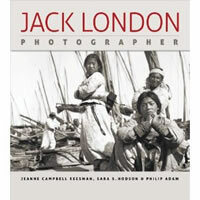 Her critical biography, Jack London's Racial Lives, came out in 2009 and her coedited collection of London's photojournalism, Jack London, Photographer, came out in 2010, both from the University of Georgia Press. The Critical Companion to Jack London, a reference book authored by Reesman, will be published by Facts on File in 2011, and a paperback version of Jack London's Racial Lives will be published in 2011, also by the University of Georgia Press. She is presently at work on a new book titled Mark Twain vs. God. Among her other books are The Norton Anthology of American Literature, Vol. C 1865-1914, Jack London: One Hundred Years a Writer, Trickster Lives: Myth in American Culture and Literature, No Mentor But Myself: Jack London on Writers and Writing (with Dale Walker), Jack London: A Study of the Short Fiction, Speaking the Other Self: American Women Writers,Rereading Jack London (with Leonard Cassuto), Jack London, Revised Edition (with Earle Labor),the third through fifth editions of A Handbook of Critical Approaches to Literature (with Wilfred Guerin et al. ), and American Designs: The Late Novels of James and Faulkner (Pennsylvania 1991).